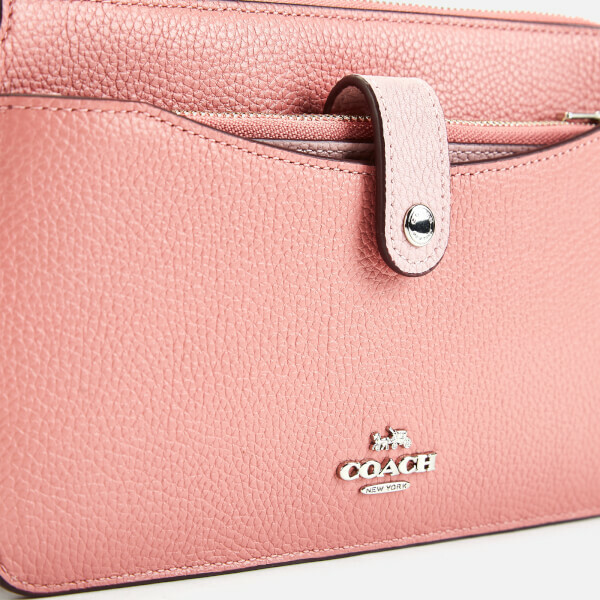 Converting from a shoulder bag to a crossbody or clutch, the Coach 'Pop Up' messenger bag offers multiple carrying options for versatile styling. 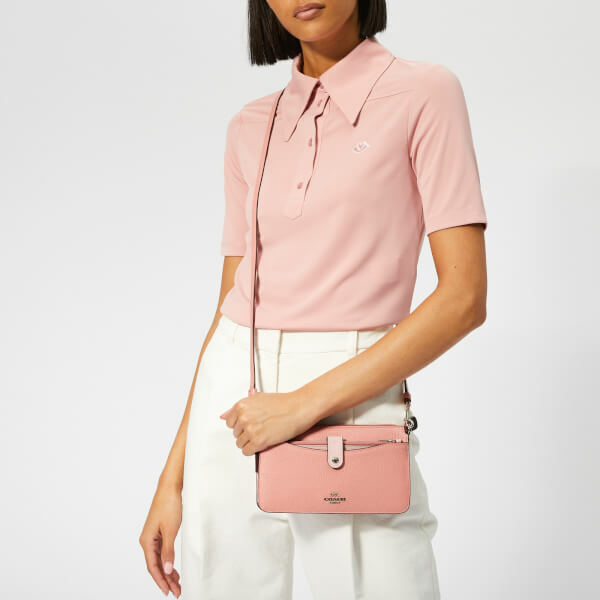 Crafted from polished pebble-textured leather with a top zip closure and a fabric-lined interior with an embossed logo badge. 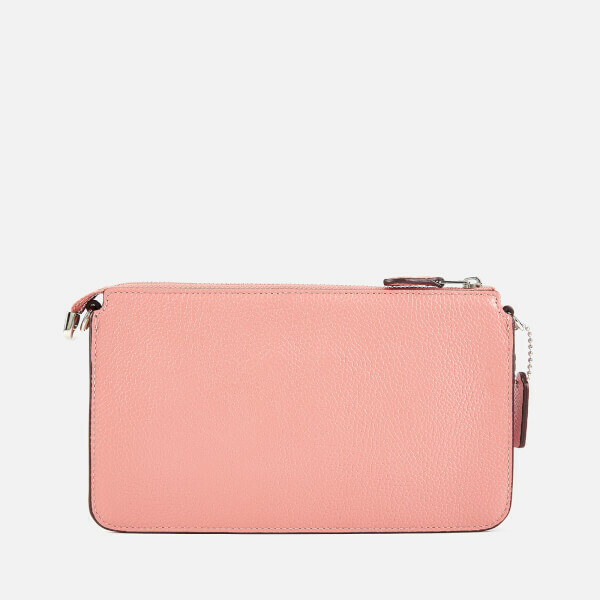 Features a press stud-fastened front section with a removable wallet that boasts four card slots, a full-length note pocket and a zipped coin compartment. 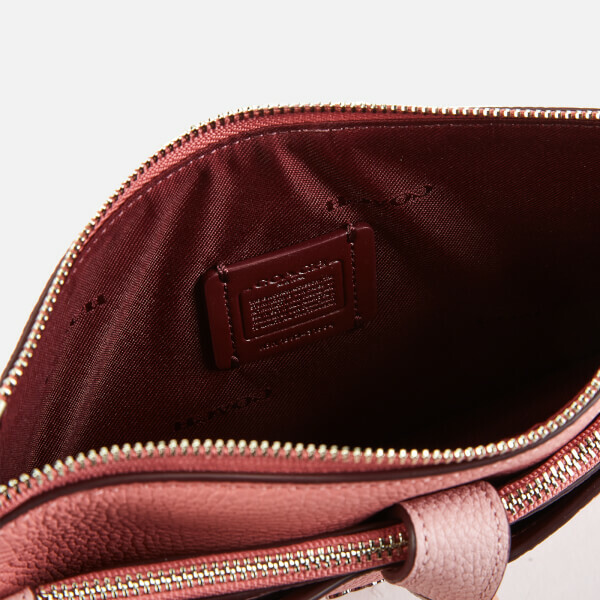 A detachable shoulder strap completes the design. Appliqué branding lends a signature finish. Silver-toned hardware throughout. 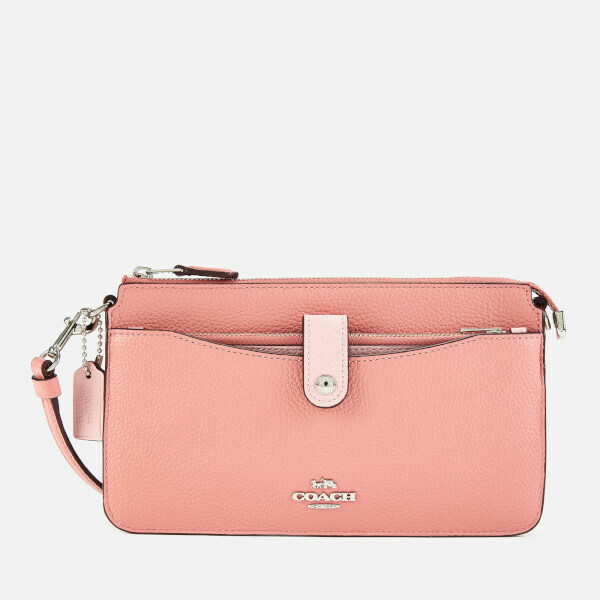 Dimensions: H: 12.5cm x W: 20.5cm x D: 2.5cm. Strap Drop: 58.5cm.